With SAT’s results now out, I wanted to share my thoughts on why I believe that the KS1 handwriting statements are flawed, do not serve the interests of the child and make children feel that they are a failure. 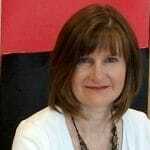 Being a handwriting expert and someone who hosts numerous workshops for children, parents and schools, I have witnessed first-hand the confusion and unnecessary stress and strain the KS1 teacher assessment frameworks are having not only on head teachers, teaching staff and schools, but on parents also. This is why I believe it is vital that handwriting experts like myself are providing the correct support and information to help clear up this confusion. But what exactly is causing this confusion and stress? Here I have provided my thoughts on which areas of the KS1 teacher assessment frameworks are flawed and the detrimental effects that these flaws are having on our children. Teacher assessment frameworks at the end of Key Stage 1 are heavily weighted on handwriting and many believe that to meet the handwriting statements all children in Y2 must join up their handwriting. This is a myth. The handwriting statement states a child must be able to use the diagonal and horizontal strokes needed to join some letters to reach the ‘greater depth’ standard only. ‘Some’ does not mean ‘all’ and this statement has caused pressure on head teachers and teaching staff, which has trickled down to parents and children, causing extreme panic, anxiety and a rush to ensure almost all Key Stage 1 children are joining up their handwriting at the expense of the basic fundamentals of handwriting; accurate letter formation, letter sizing, word spacing and holding the pencil using the correct grip. What’s more disturbing is that this myth has led to nursery school children being forced to learn a cursive handwriting script from the start to ensure that they are ‘SATS ready’ before they start primary school. This abhorrent trend is a ticking time bomb and must be stopped as a matter of urgency. Through pushing the basic foundations to the side – all of which are needed to achieve fast and fluent legible handwriting during GCSE and higher education exams – in replacement of the continuous cursive style, it is causing detrimental effects for our children, both in school and further ahead into their future. Pushing children too soon and exposing them to a cursive style of handwriting when they are not developmentally ready risks huge problems at a later date, and yet there are no extra marks for writing in cursive handwriting at GCSE level or higher education. What is even worse is that a child can end up losing marks in these higher education exams from not finishing an exam paper in time, due to the lack of writing speed caused by poor pen grip and writing technique – all detrimental side affects of the rush to join. The ‘Greater Depth Standard’ statement within the KS1 teacher assessment frameworks pushes a child to use cursive handwriting for their primary school tests, but again this stress and strain is entirely unnecessary. These tests have no impact whatsoever on a child’s future, as these tests are only used to assess the school and not the individual child, yet the detrimental effects that the rush to join has on a child are long lasting – and furthermore, no SATS results will ever appear on a CV. To add to this, no marks are deducted for printing in GCSE exams and many secondary schools have to invest time on correcting illegible handwriting that has been caused by the rush to join. Primary schools should not have to tick the boxes of what is needed to pass the Key Stage 1 Greater Depth Standard (GDS), such as the teaching of cursive handwriting. Instead, they should be able to put all of their efforts and energy into focusing on what each child is developmentally ready to learn. The process of mastering legible handwriting is similar to building a house; you must ensure you have strong foundations. The same goes with handwriting. As teachers, we should be ensuring that a child has understood and mastered all of the basics of handwriting before allowing them to build upon these skills. All Key Stage 1 children should not have to conform to an ideal of what some children should be able to achieve at a certain age. After all, each child is different and develops at a different rate compared to the next child, so we should be then ensuring that a child has fully developed their fine motor skills to enable them to hold a pencil correctly and sit in the correct position to write, as well as mastering their individual letter formation, before moving them onto the joining of letters. There should be a focus on legibility, correct letter formation and letter sizing over anything else, as marks are deducted at GCSE level for incorrect sizing of capital letters and illegibility. The flaws that exist in the KS1 teacher assessment frameworks have caused a significant rise in parents of 5, 6 and 7-year-olds seeking and paying for expensive and badly trained private handwriting tutors, in order to help their children ‘pass’ these tests. In fact, business is so brisk with children as young as 3 being rushed to use cursive handwriting from the start of their school career, that many Occupational Therapists (OT’s) are now turning their back on their profession and setting up business as ‘handwriting experts’. However, many OT’s believe that teaching a continuous cursive style from the start is best. All handwriting experts disagree with this, including Angela Webb, Chair of the National Handwriting Association who stated, “The resurgence of the practice of teaching continuous cursive has been influenced in part by pressure from certain Special Needs’ groups who hold the view that teaching this way makes learning more straightforward for the child.” She continued, “The truth, I would argue, lies further afield and the insistence on baseline entry tends to create a myriad of problems along the way with both fluency and legibility.” The myth that if children learn to print, they will subsequently have to relearn how to write in a cursive script is simply untrue. The fact is, when a child is developmentally ready to use cursive writing it becomes a natural progression from printing if taught correctly and without the current educational trend of the entry/lead in stroke. I am appalled to see the effects that these flawed KS1 teacher assessment frameworks are having on our children and their ability to master legible handwriting, and I am even more appalled to see people taking advantage of the confusion, strain and stress that these myths and flaws are having on schools, teachers and parents for monetary gain. I will continue to spread the word and highlight these flaws to those in power, until something is done to change them. Think of the child. 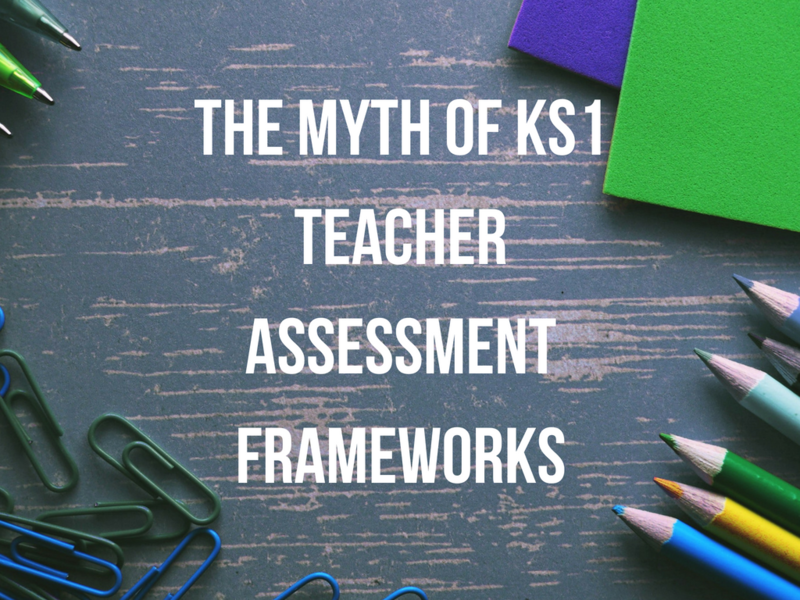 Do not rush to join just to tick the boxes of the teacher assessment frameworks at the end of Key Stage 1.